e are situated in a breathtaking part of Dorset, looking out over Chesil beach. We have our own Portland Oyster beds just a stones throw from the restaurant so you can enjoy fresh Oysters on your table within minutes of them leaving the water! We also specialise in other types of seafood, most loved are the fresh, local Crabs. A good size, caught along the the English Channel, that are then freshly boiled, chopped in half and then stir fried in garlic, chilli, ginger and herbs. The Crabs are served on large wooden boards with a hammer, nut-crackers, various picks and forks and a bib. Don’t just take our recommendation, the Crab House Cafe has had the nod of approval from Rick Stein as well as the Observer and all the other broadsheet supplements. Other than our popular Crabs, the menu at the Crab House consists of delicious fish & seafood recipes all from fish landed within 40 miles. So why not treat yourself to a tempting meal at the Crab House Cafe and a day out to remember on the Dorset Coast! Our farm produce Oysters with a delicious, distinct taste – a real favourite among Oyster lovers! 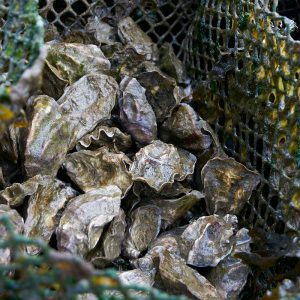 The location of the Portland Oyster beds, in front of the Crab House Cafe™ itself, means that diners can have mouth-watering Portland Oysters on the table within minutes of them leaving the water. We use new and innovative Australian Oyster Growing Systems with mesh baskets and timber post and rail rows. There have been Oysters in the fleet since Roman times. 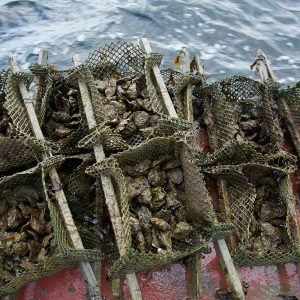 The Native Oyster, OSTREA EDULIS, has been prized throughout the history and was the Oyster of choice until recently when disease, over fishing and pollution seriously depleted the wild stocks. The more robust Pacific Oyster CRASSOSTREA GIGAS has since taken place in the market place and is the preferred Oyster for cultivation worldwide. The skate with chirizo and spring onions was spicy, moist, steeped in its sinful flavours, reeking of decadence. 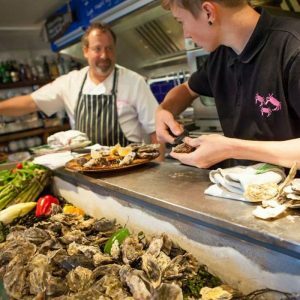 The frequently changing menu is because of owner Nigel Bloxham’s insistence on the absolute freshness of the fish he serves. 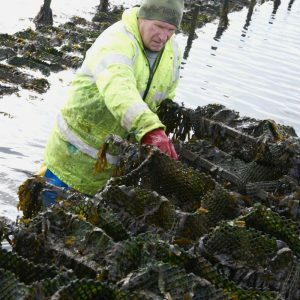 There has been an Oyster farm in the Fleet for 30 years. Cultivation method being based on the French Bag and Trestle method. Growing on juveniles from hatchery seed to market size taking roughly three years. This continued under the name of Abbotsbury Oysters until end 2004. 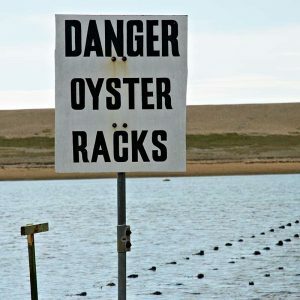 Under new ownership in 2004, it was decided to clear the, by now almost derelict and non functional, site and introduce new and innovative Oyster growing systems for Australia. The Australian systems consists of timber post and rail rows carrying purpose made enclosed plastic mesh baskets – AQUAPURSE. The company, TOOLTECH, from Brisbane, QLD, exports these systems worldwide but AQUAPURSE is new to Europe. Open top ‘baskets’ similar to Tasmania are also used. 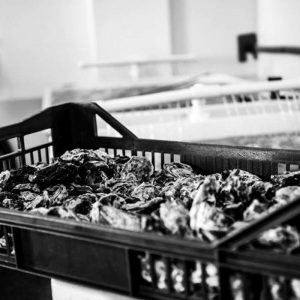 Part grown Oysters (30-40mm) are sourced from the Channel Islands and relaid in the Fleet AQUAPURSE for between 7-12 months. By this time they are of marketable size.